One of our customers faced a large attack against his WordPress blog xmlrpc.php script. When I connected to his server, the CPU load was over 100. The problem is that I couldn’t install NinjaFirewall WP Edition, our Web Application Firewall for WordPress, because the blog was completely and utterly unresponsive. However, having root access to the server I still had a few options left to quickly mitigate the attack. Blocking IP addresses at the firewall level was not one of them because the attack was distributed. I decided to filter the TCP packets and to search and block those whose payload contained a reference to the POST /xmlrpc.php HTTP request used in the attack. I already wrote a long article about using the iptables command as well as some of its modules (Recent, String Match and TCP) to locate a specific packet in order to filter it. I recommend that you take the time to read it before going any further as I won’t provide too many explanations regarding the rules we are going to use below. The attack started at 2:20PM and approximately fifteen minutes later, the CPU load reached 120 for the next forty minutes, then slightly went down to 110 and lasted for two hours. 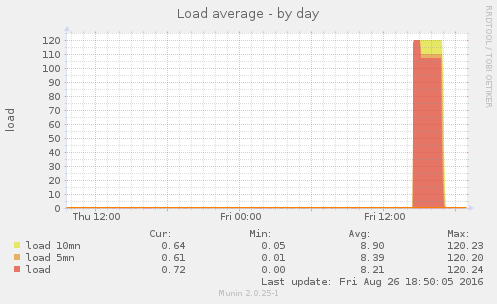 As soon a the iptables rules were added, it took less than ten minutes before the CPU load dropped down to 0.7. The site was back online and I was able to install NinjaFirewall (WP Edition) which is now blocking all attacks. This is the full set of rules needed to filter and block that kind of XML-RPC POST attack. Note: if your xmlrpc.php file is located inside a subfolder, e.g. POST /blog/xmlrpc.php, change the above command accordingly. You may also need to increase the search length (--to 70) to match it. Previous All In One WP Security & Firewall multiple XSS vulnerabilities (<=4.0.7). Next Centralized logging with NinjaFirewall.